Part I - An Overview for the Data Scientist. Data Science, Analytics, and Data Mining. From Rattle to R for the Data Scientist. Preparing Data. Building Models. Case Studies. R Basics. Part II - Data Foundations. Reading Data into R. Exploring and Summarising Data. Transforming Data. Presenting Data. Part III - Analytics. Descriptive Analytics. Predictive Analytics. Prescriptive Analytics. Text Analytics. Social Network Analytics. Part IV - Advanced Data Science in R. Dealing with Big Data. Parallel Processing for High Performance Analytics. 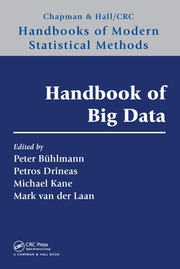 Ensembles for Big Data. Graham J. Williams is Director of Data Science with Microsoft and Honorary Associate Professor with the Australian National University. He is also Adjunct Professor with the University of Canberra. He was previously Senior Director of Analytics with the Australian Taxation Office, Lead Data Scientist with the Australian Government's Centre of Excellence in Data Analytics, and International Visiting Professor of the Chinese Academy of Sciences. Over three decades , Graham has been an active machine learning researcher and author of many publications and software including Rattle. As a practitioner of data science he has deployed solutions in areas including finance, banking, insurance, health, education and government. He is also chair and steering committee member of international conferences in knowledge discovery, artificial intelligence, machine learning, and data mining. "I have several books on data science and R, as well as other similar subjects and programming languages, in my personal library. 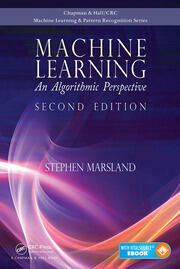 However, this book is a great blend of important data science topics and R programming that will make it a great reference for anyone working in this important and immensely popular area. I highly recommend this book for college students learning what it takes to start their career in data science or even current professionals wanting to make a career change or who just want to know more about the subject (and do some R programming as well)." 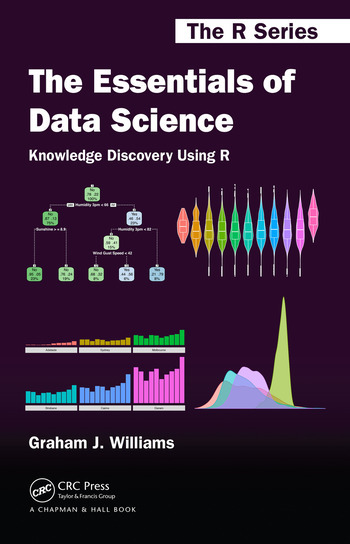 "Due to the self-contained introduction to many of the features of R and RStudio, Graham J. Williams The Essentials of Data Science, Knowledge Discovery Using R would make an excellent recommended or supplementary text for a course that plans to use the rattle package. 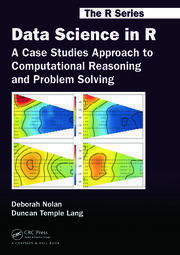 This book would also serve as a great resource for those with an interest in data science who would like a hands-on approach to learning R and gettting a flavor for a handful of topics within data science."